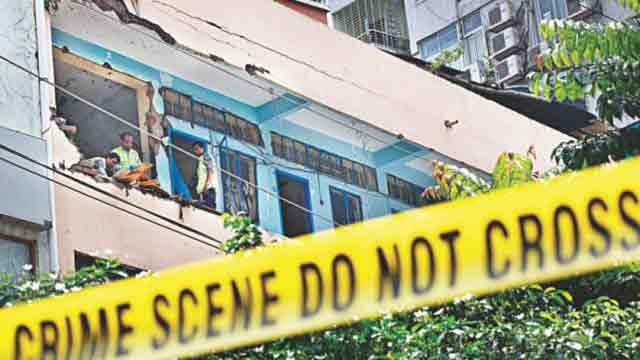 Dhaka, Jan 1 (Just News): Law enforcers today claimed arrest of a top militant of Jama’atul Mujahideen Bangladesh (JMB) in connection to the hotel blast in Dhaka's Panthapath area on August 15 last year. Arrested Mamun, a bomb-making expert and said to be a sabotage planner of that day, was arrested last night, said Counter-Terrorism and Transnational Crime’s Additional Deputy Commissioner Abdur Hannan. Counter-terrorism officials along with intelligence wing of Police Headquarters and Bogra police arrested Mamun from House Building area of Uttara 7 sector in the capital. The militant is said to be a trainer of other militants of the banned outfit. On August 15, a suspected suicide bomber of “Neo JMB” was killed during an anti-militancy operation at a city hotel as counter-terrorism officials claim he had planned to carry out an attack on the crowd paying homage to Bangabandhu on National Mourning Day at Dhanmondi 32. The hotel is half a kilometre off Bangabandhu Memorial Museum, the historic house in Dhanmondi where the Father of the Nation was brutally killed along with most of his family members on August 15, 1975.